A step-by-step guide based on real-world examination experience. Discover how to document process validation in a way that is sure to satisfy — and impress — regulators! Few things in drugmaking are as challenging as process validation — nor as likely to trip you up with FDA inspectors. Hundreds of individual manufacturing processes to validate. And the most common mistakes occur after the work of validation has taken place: when documenting the work to show that it’s been done. What validation method should you use? Who should be involved in validation? When should you conduct the validation? You are beyond the introduction to process validation and ready to get straight to the heart of the matter. 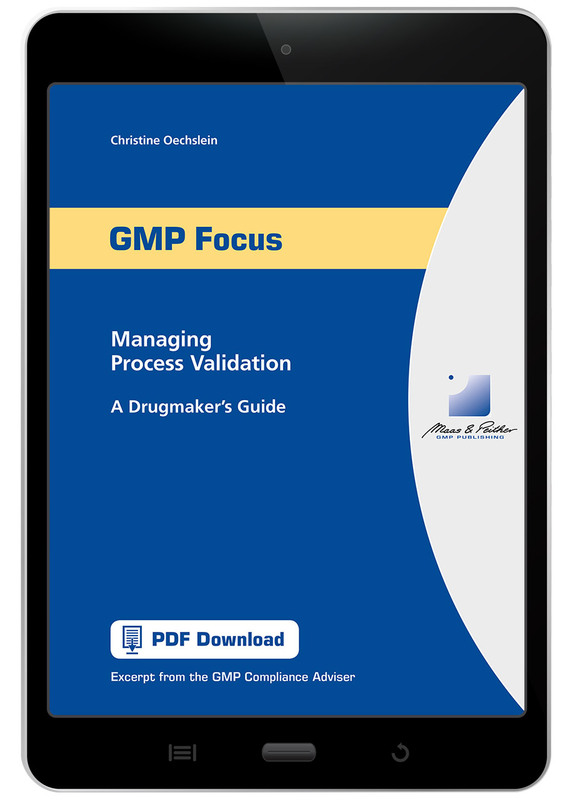 Order Managing Process Validation: A Drugmaker’s Guide and gain the confidence to conduct process validations that reduce risk and satisfy regulators.